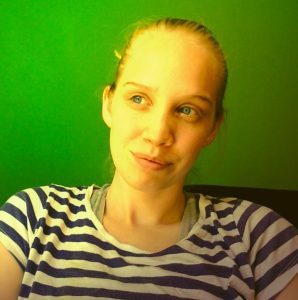 This is a guest blog from Elaine Williams. So begins a BBC article on a new report published this morning by the children’s charity Barnado’s. Whilst the report’s calls for improved alternative provision and pupil referral units are welcome, we urgently need to change the way we talk about ‘knife crime’ says Elaine Williams- an expert in the field. 1. Whose ‘knife culture’ is it anyway? Whether its Midsomer Murders or Grand Theft Auto 5 we all seem to enjoy the safe thrill of violence – and reading the news is no exception. The excited consumption of lurid and sensationalist news has incentivised an increasing obsession with knives and young people in the press. This has led to the manipulation of data to create shock headline and a narrowed interest in the actions of a particular group; namely young, black, inner-city males. “We all seem to enjoy the safe thrill of violence – but what does this mean for knife crime? In fact, the Office of National Statistics (ONS) homicide data published in 2017 does not suggest a specific phenomenon amongst young people, but rather a general increase in murder rate across all ages. In England and Wales the most common age group for victims of homicides recorded in the year ending March 2017 was 35 to 44 year olds, and the majority of victims aged under 16 years were killed by a parent or step- parent. So much for an epidemic of knife crime amongst young people. Unfortunately these figures are consistently ignored. At present, the most common method of killing is by ‘Knife or other sharp instrument’, making up roughly 30% of all homicides in 2017 . This is the same proportion as the previous year and has been a relatively consistent figure for the past decade. But as the overall rate of murder has increased (by 8% last year), so too has the proportion involving sharp instruments. Unfortunately though, irresponsible reporting of these figures – that too often uses youth data in isolation from general trends – says more about our cultural appetite for moral panic then it does about young people themselves. Reports on knife crime say more about our appetite for moral panic then young people themselves. In 2007 Tony Blair famously claimed we couldn’t stop knife and gang crime unless we admitted it was ‘young black kids doing it’. More than a decade later and this common opinion is in fact the most important restriction on our ability to tackle the issue in a sensible and evidence-based manner. Young People and Street Crime, commissioned by the Youth Justice Board looked at data from 32 London boroughs and found that crime is more prevalent in poor areas and that an over representation of black perpetrators or victims only demonstrated disproportionate experiences of deprivation amongst this group. The racist construction of a ‘black culture’ that is inherently criminal not only distracts from the economic causes of violence but it also provides public support for increasingly hostile policing. Despite stop and search having no evidence base for effective violence reduction in 2018 (just like in 2008) we see a policing response to ‘knife crime’ that disproportionately targets young black males in deprived areas. 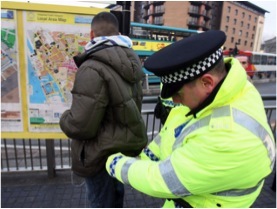 Yet the hostility and humiliation of stop and search erodes police-community relations and further harms vulnerable children by blaming them for their own marginalisation. 3. Politicise the causes, not the response. There is no doubt that the response to ‘knife crime’ is a highly political and popularised debate. Just this month Labour Mayor of London Sadiq Khan announced that the capital would adopt the ‘public health model’ for tackling ‘knife crime’, whilst his rival – the Conservative candidate for Mayoral election – Shaun Bailey has also vowed to support a ‘multifaceted approach’. 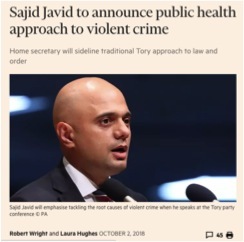 Meanwhile Home Secretary Sajid Javid announced the Government’s new public health aapproach at the Conservative Party Conference. If facilitated correctly the public health approach would be a vast improvement on the current ‘law and order’ response. The Youth Violence Commission Report published this year has made very clear that the public health model will only work if it is a long term, party neutral initiative. Politicians with election-cycle-length interest will struggle to meaningfully invest in a paradigm shift that aims to see benefits in 10-15 years. Given this unfortunate tangle, what we really need to see is politicians wiilling to talk less about drill music, social media and ‘gangs’, and more about the marginalising impacts of austerity, cuts to youth services, permanent school exclusion, and discriminatory stop and search.